The Australian Automotive Aftermarket Association (AAAA) welcomes the number of peak automotive industry organisations who are now expressing their support for a mandatory solution for the sharing of vehicle repair and service information for all automotive repairers. Immediately following the release of the Australian Competition and Consumer Commission (ACCC) Draft Report on the New Car Retailing Industry on August 10, the AAAA has been buoyed by the support that has been gained from both the Motor Trades Association of Australia (MTAA) and the Victorian Automotive Chamber of Commerce (VACC), two of the nation’s peak automotive dealer and independent repairer industry organisations, among others. Since the release of the New Car Industry Draft Report findings and the ACCC’s detailed research into specific cases, more organisations have now concluded that a mandatory solution to the sharing of repair and service information with independent repairers by the car manufacturers is the right approach. The ACCC’s Draft Report into the New Car Retailing Industry has played a significant role in creating a shift compared to some of these organisations’ prior positioning on this and other major issues directly affecting their independent repairer members. One of the major positives from the recent announcements made in response to the ACCC’s Draft Report into New Car Retailing is the fact that it has created a united front in relation to ensuring a much fairer go for Australian consumers and independent repairers. “It is great to see the MTAA and the VACC making public statements of support for a mandatory solution. This is a very welcome development. 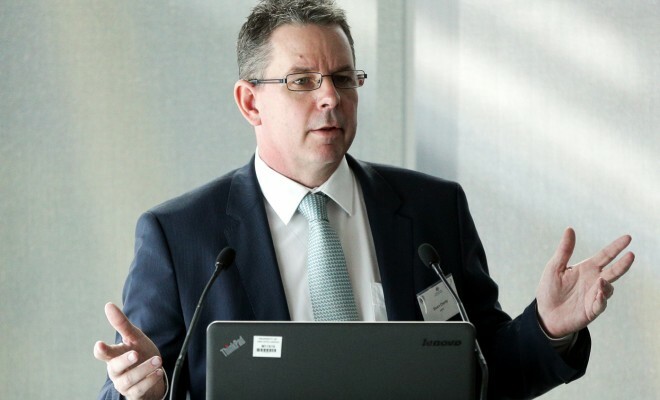 To see the industry coming together and the organisations that represent both independent repairers and authorised dealers calling for a level playing field is outstanding,” Mr Stuart Charity, AAAA Executive Director stated. “I think that it shows we are now able to sit around the table and talk to the ACCC about the best design for a mandatory solution that would benefit fair competition and foster good outcomes for consumers, independent repairers and car manufacturers, along with their dealer networks,” He added. The level of detail outlined in the 145 page ACCC Draft Report has had a very significant impact on the shifting of opinions both from within and outside the industry, including the perspectives of consumers. This is not surprising given the widespread national newspaper, television, radio and online exposure that the ACCC Draft Report gained. “There is little doubt that the impact of the very thorough industry examination carried out by the ACCC has been highly significant and effective. The investigation included forensic research by independent experts, the likes of which the independent automotive aftermarket industry has never had access to before. The investigation also sought car manufacturer responses to specific complaints and the ACCC findings have managed to change many opinions in the industry,” Mr Charity stated. “We welcome the organisations representing consumers, automotive retailers, independent repairers, parts manufactures, and new car dealerships supporting a mandated approach that the AAAA has championed and taken the lead role in trying to achieve since 2009. The AAAA has always promoted a balanced and pragmatic approach to the sharing of automotive service and repair information to try to achieve a sustainable outcome for independent repairers, the car companies and their dealer networks. It was made abundantly clear by the ACCC in their Draft Report that the Voluntary Code signed almost three years ago had categorically failed in practice. It was flawed from the outset, lacking good oversight and dispute mechanisms. It was largely ignored by car companies and their dealers, at the direct expense of Australian consumers and independent repairers. “We certainly don’t regret being involved in the Voluntary Code process but after nearly three years of operation it became painfully clear that it just didn’t work,” Mr Charity stated. “We were pragmatic in our initial signing of this agreement, but the car manufacturers were not committed to making the agreement work and that has led us to where we are today. Despite all of our good intention and our co-operation, the voluntary approach did not have any meaningful impact on the availability of vehicle repair and service information and this has been verified by the independent experts who contributed to the ACCC investigation,” He added. The AAAA on behalf of our 2,500 member companies, welcomes and appreciates the widespread support for a mandatory approach expressed by leading automotive industry associations over the past week and we look forward to this being adopted by Government into regulation in the very near future. 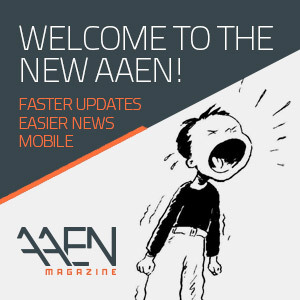 Our company AAEN Pty Ltd has been producing specialist auto trade journals in Australia since 1992. Our team has over 20 years experience in the auto trade and our correspondents are highly respected. In each issue of our trade auto trade journals we endeavor to reach an interesting balance of articles for our readers. 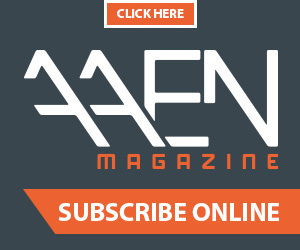 AAEN offers a wide range of trade magazine and online advertising packages to help you reach your target automotive news audience. Simply contact our office. For pricing information or any advertising enquiries please email office@aaen.com.au. For more information about our advertising specs please click here!